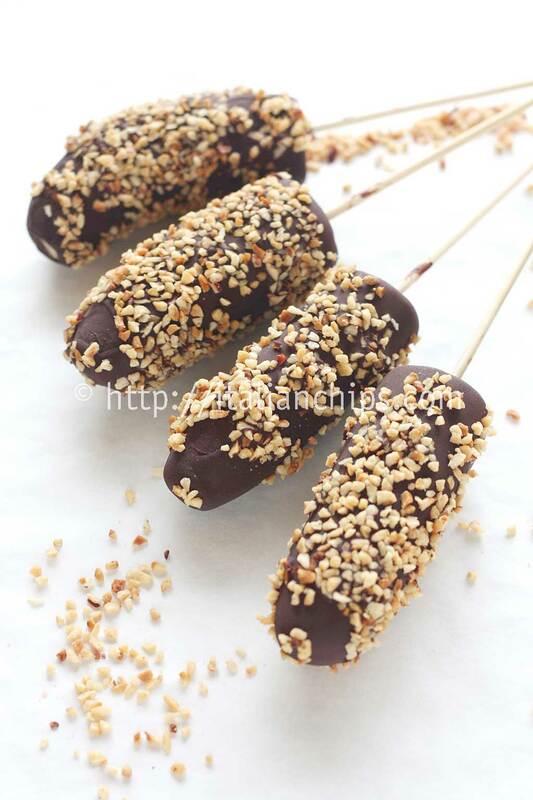 I wasn’t looking for a banana recipe, but when I put my eyes on this treat I couldn’t avoid doing it quite immediately. It’s so simple to prepare and gives back such an inviting, tasty and original dessert (or snack). 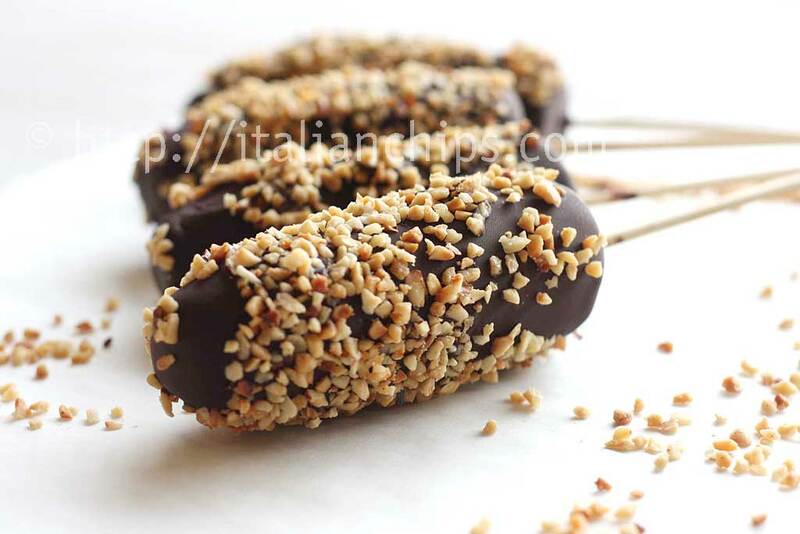 It’s kid-friendly, it can be prepared in advance and kept in the freezer, it can be a different thing to offer your guests during Summertime afternoons, it’s healthy (I used dark chocolate and so it hasn’t even sugar) and gourmand. 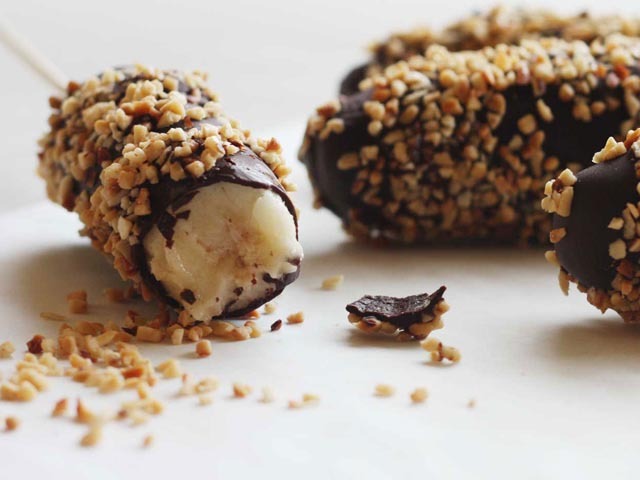 It is even easier than the chocolate covered strawberries, because you don’t even have to care about the chocolate temperature as you use frozen bananas and it automatically colds and solidifies the chocolate. I found this great banana recipe idea in The Vegetarian Ginger blog and immediately saved it ;-D.
Peel the bananas and cut in 2, if big ones. Place a stick on each piece and put in the freezer for some hours. Cut the chocola in pieeces and melt it in the microwave oven or in bain marie. Cut the hazelnuts and put them on a piece of parchment paper. 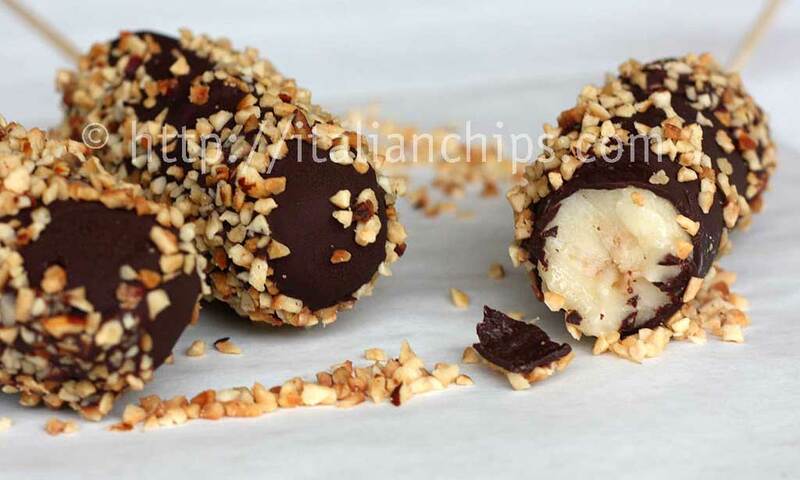 Prepare another sheet of parchment paper to place the bananas after covering them with chocolate. 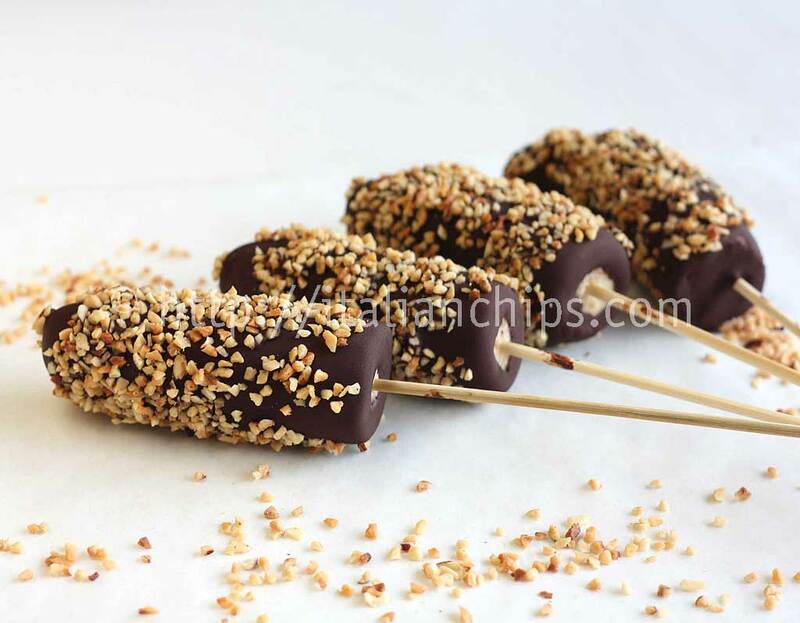 Take each piece of banana and pass it into the melted chocolate covering it all and quickly (before it solidifies) pass on the chopped hazelnuts so the crumbs will attach to the chocolate. Put them on the parchment paper and then in freezer if not eating immediately. Banana Boooo!!!!!! A Halloween Idea!